These hoop earrings from Lana's Charmed collection certainly are charming! 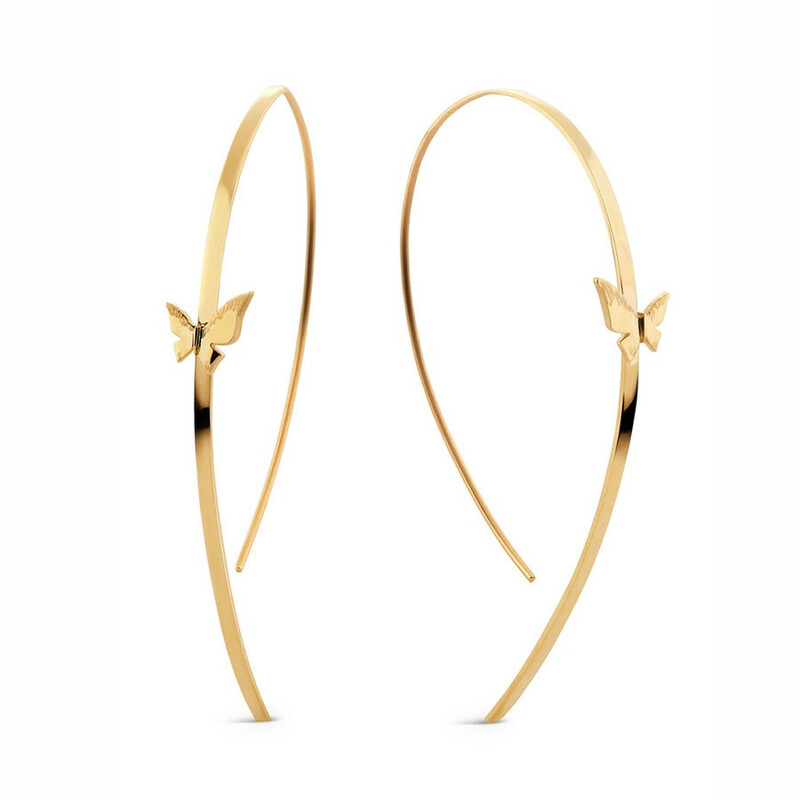 Crafted in 14K yellow gold, they are feminine and playful, boasting a butterfly perched on precious metal. These Lana hooked on hoop style earrings have a lovely and light-hearted look.